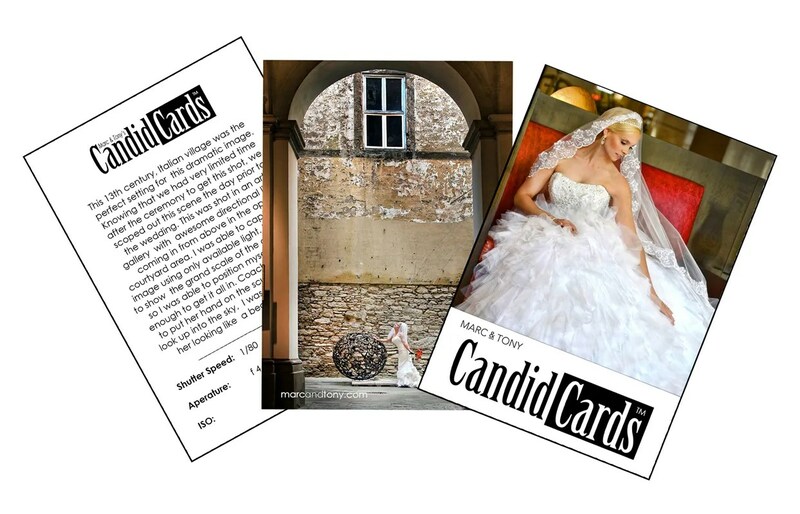 Marc & Tony’s Candid Cards are a quick and easy- to- use learning tool for today’s professional photographer. Each card offers an original image, along with a “candid” explanation of how each image was captured. Tech Specs are also included to help you get the correct exposure and effects. Marc & Tony will share the quickest and easiest ways to capture images that will stun your clients!